Ever wondered how to save more money here in Canada? Ever wondered how to pay less tax? Ever wondered how to make sure your loved ones can get all your assets when you're gone? 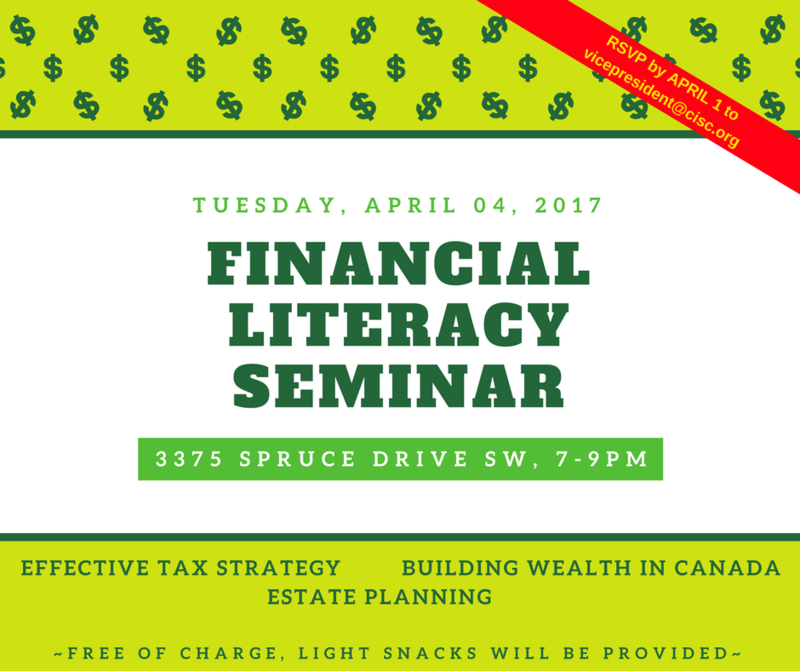 Come to this FINANCIAL LITERACY SEMINAR, and you'll have your questions answered by a couple of Chartered Professional Accountants Canada who are also volunteers of CPA Canada's Financial Literacy Program for many, many years. So, mark this date, April 4 @7pm sharp! See poster for more details.